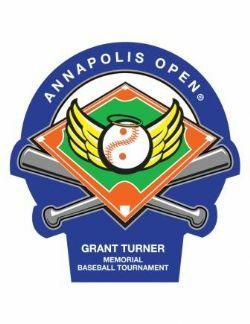 Welcome to the General's Highway (GeneralsHighway.org) web presence and home of the Annapolis Open® - Grant Turner Memorial Baseball Tournament (AnnapolisOpen.org). 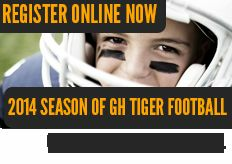 We serve Greater Annapolis, Greater Crownsville, Rolling Knolls, Epping Forest, Sherwood Forest, all of Generals Highway from Parole to near Millersville, and other Anne Arundel County locations with the following girls and boys youth sports: Tee-Ball, Baseball, Basketball, Cheerleading, Football, Girls Lacrosse,and Softball. 2019 GHAA Girls Lacrosse REGISTRATION IS OPEN Please read the information below. REGISTER ASAP by clicking this link: https://generalshighway.pilvia.site/home scroll down to register. All uniforms will be provided for 2019. They will be distributed in February. Date to be determined. Sticklette, Pee Wee, Middie and Junior levels will be provided with a jersey and a kilt - A $75 refundable deposit will be collected by your coach before you can receive the uniform. The Kindergarten program is an in-house league that will practice at Corridor Park on Saturday mornings. Practices will begin the first week in April and will run through the end of May. The clinics are solely intended to teach the basic fundamentals of the girls' lacrosse game with a HUGE emphasis on FUN! Skills taught will include how to hold a stick, cradling, passing, catching and ground balls. T-shirts will be provided for this league. The Sticklette program will play county games. 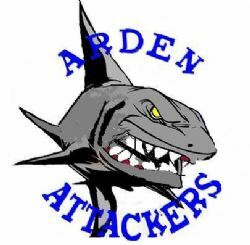 They will that will practice at Generals Highway Corridor at a date determined by the coach. Practices will begin the first week in April and will run through the end of May. Game format will be 6v6 with no goalie on a field approximately 50 yards in length. The focal points of this league will be skill-building and sportsmanship, with some emphasis on the basics of positioning, rules and field play. County play and all girls must be 8 years old by April 1st to play Pee Wee. The games are 8v8, with no checking at this level, and scores are not recorded. There are 10 scheduled games that begin the first week in April. Expect two practices a week, with Saturday, Sunday and some weeknight games. The focal points of this league will be skill-building and sportsmanship, with more emphasis on the basics of positioning, rules and field play. The games are 12v12 with modified checking and scores are recorded. Fields will have hard boundaries. Expect two practices a week, with Saturday, Sunday and some weeknight games. There are 10 scheduled games that begin the first week in April. The focal points of this league will be skill-building and sportsmanship, teamwork and positioning, and introduction to strategy and plays. GHAAexpects any player participating on a team to have a commitment to their coach and teammates to make all practices and games a priority. The games are 12v12 with checking at this level and scores are recorded. Fields will have hard boundaries. Expect two to three practices a week, with Saturday, Sunday and some weeknight games. There are 10 scheduled games, plus play-offs. GHAA expects any player participating on a team to have a commitment to their coach and teammates to make all practices and games a priority.